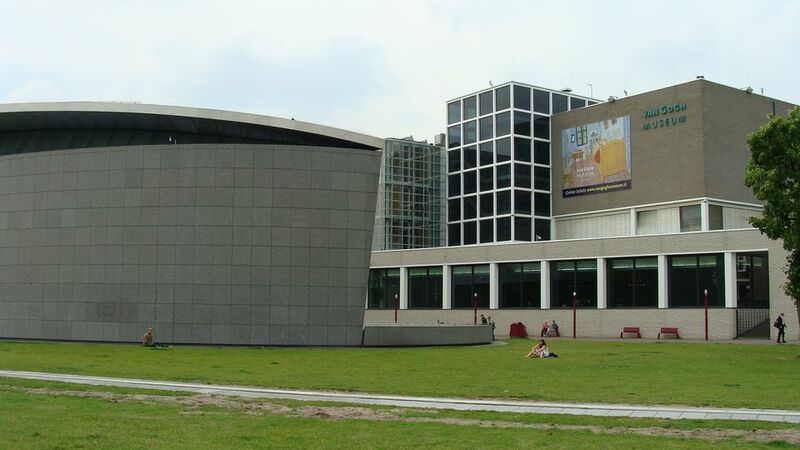 The Van Gogh Museum is one of Amsterdam's most visited attractions. Opened in 1973, the museum evokes an emotional experience for visitors, as the galleries follow Dutch artist Vincent Van Gogh's often-troubled artistic career of just 10 years. The audio tour offers an interpretation of his work, excerpts from his letters and an explanation of his impact on art. Location: Museum Quarter neighborhood. Address: Museumplein 6 (south of the Rijksmuseum on the Museumplein). Hours: Open daily, extended hours on Fridays. Ticket office closes 30 minutes before the museum. Multimedia Tour: Additional € 5 (available in Dutch, English, German, French, Italian, Portuguese, Spanish, Japanese, Mandarin, and Russian). This new tool offers reproductions, photographs, letters, drawings, interviews, film clips, music and games on a handheld computer. Children: Ask about the children's multimedia guide, special weekend art workshops, and treasure hunts. Accessibility: All rooms are wheelchair-accessible and the museum will provide wheelchairs upon request. By Tram: Line 2, 3, 5 or 12 to the Van Baerlestraat stop (which is actually on Paulus Potterstraat). Line 16 or 24 to the Museumplein stop (five-minute walk across the park to the entrance). By Water: The Canal Bus and Museum Boat both make stops on the Singelgracht, just across from the northern face of the Rijksmuseum (10-minute walk to Van Gogh Museum from here). By Car: Parking is available in the Q Park parking garage at Museumplein. Use the entrance on Van Baerlestraat. When to Go: Lines outside the Van Gogh Museum can look daunting, but they move quickly. Weekends are the busiest days; go early on a weekday morning or during Friday night extended hours to avoid crowds. Summer is high tourist season in Amsterdam. Pre-purchased Tickets: Bypass the lines altogether when you buy tickets online (the museum accepts both printed and digital tickets) or at any of the Amsterdam tourist offices ("VVV") ahead of time. The on-site museum shop, accessible only for paid visitors, offers a comprehensive selection of posters and books on Van Gogh and other 19th-century artists. Forgot your souvenir? You can shop online. Stalls on the Museumplein also sell Van Gogh merchandise. The in-house museum café serves drinks, snacks and simple lunch options like soups, salads, sandwiches, and quiche. Open during museum hours.